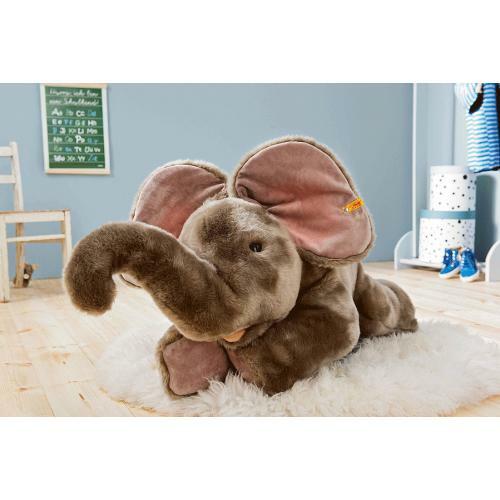 Steiff Trampili Elephant is made by hand, in the finest grey cuddly soft plush. 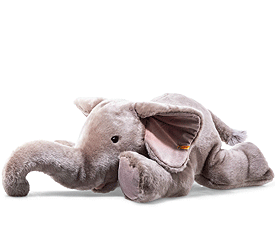 A new member of the Trampili family is here to brighten our days with his charming presence. 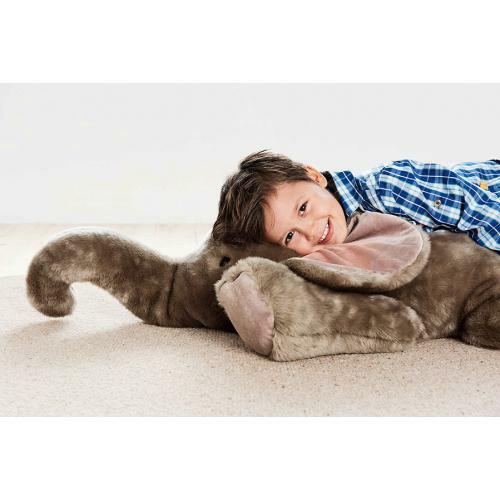 Trampili elephant is 85 cm tall and has a soft and cuddly grey plush fabric coat. 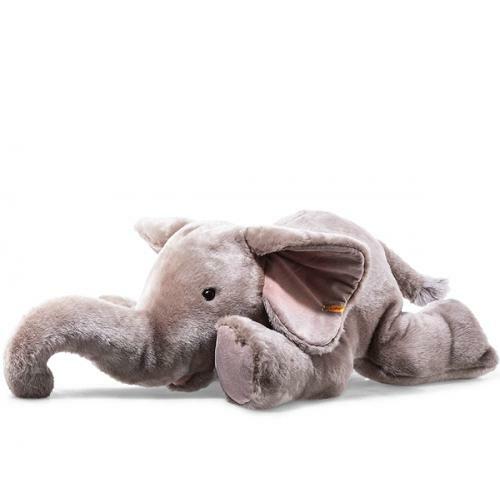 His inner ears and the soles of his feet are made of a lighter grey plush material. The inside of his mouth features pink velvet. The inner ears are painted pink. This well-travelled little guy loves to just lie there and relax. He's simply too cute to resist!